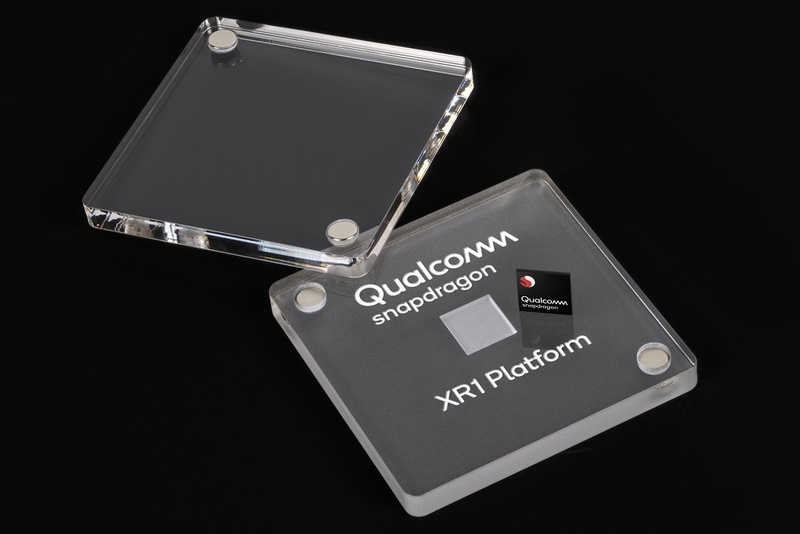 Qualcomm today introduced the world’s first platform dedicated to extended reality (XR) with the launch of its Snapdragon XR1 chip and headset design. As previously reported, XR is an umbrella term used to group virtual reality, augmented reality, and mixed reality hardware and experiences. Companies already lined up to use the platform include Meta, HTC’s Vive brand, Vuzix, and Pico. Until now, mobile VR and AR applications relied on a chip optimized for smartphones. The takeaway from Qualcomm’s announcement is that despite the Snapdragon brand, the XR1 chip wasn’t designed for smartphones and tablets. Instead, it’s optimized for extended reality experiences including augmented reality applications backed by artificial intelligence. Outside packing ARM-based CPU cores and a GPU unit, the new chip includes an A.I. engine for on-device processing. That means the resulting headset won’t require a tethered connection to a PC, nor will it need the cloud to process A.I.-based functions. Given extended reality experiences powered by A.I. require loads of processing, Qualcomm tuned the chip for high performance and power efficiency to prevent the parent device from quickly gobbling up the battery’s charge. “Other key features include an advanced XR software service layer, machine learning, the Snapdragon XR Software Development Kit (SDK) and Qualcomm Technologies connectivity and security technologies,” Qualcomm says. The new platform can support 4K video at 60 frames per second, and the latest graphics APIs such as Vulkan, OpenGL, and OpenCL thanks to the integrated Spectra Image Signal Processor. It also supports visual-inertial odometry, a technology that allows you to interact with augmented reality objects and freely move around in the virtual world without cables. Manufacturers creating headsets based on the XR1 chip can implement three or six degrees of freedom head tracking. For example, six degrees of freedom means you can move up, down, left, right, forward and backward without the need for a tethered PC or external sensors. Three degrees is what you typically see on smartphone-based headsets that support head rolling (pivot up and down), pitching (look up and down), and yawing (look left and right). Qualcomm put a lot of work into the audio aspect, too. The platform relies on the company’s 3D Audio Suite, Aqstic Audio, and AptX Audio for not only high-quality sound but to provide voice assistance that is always an and always listening. Meanwhile, head-related transfer functions will give audio a 3D-like experience, locking down sound sources to specific points in virtual and real-world spaces no matter where you’re facing. In a separate announcement, Vuzix said its next-generation Blade smart glasses will be based on the Snapdragon XR1 platform. The combination of Qualcomm’s platform and Vuzix’s “proprietary waveguides and display engines” will create smaller, more fashionable devices. The Snapdragon XR1 will also be used in the next Vuzin M-Series smart glasses for the enterprise. Products produced by Vuzix aren’t expected to appear until sometime in 2019. HTC, Pico, and Meta did not make any official announcements at the time of this publication.